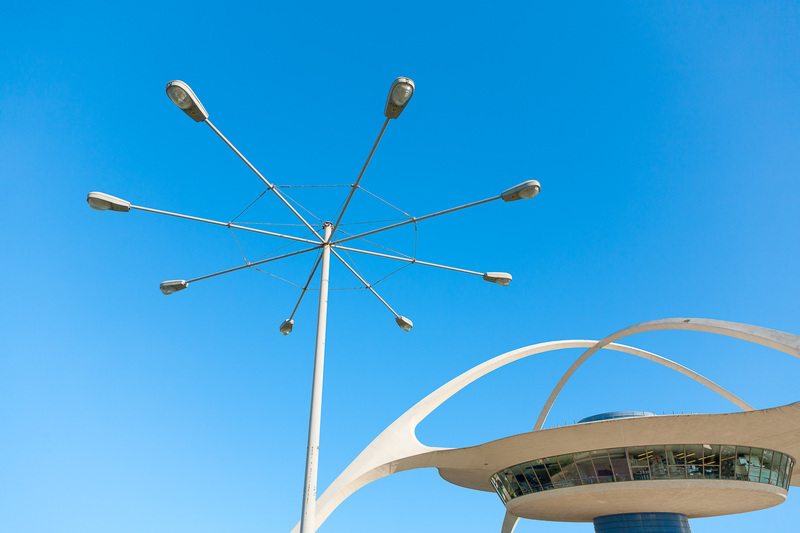 Midcentury modern Theme Building with street light against sky at Los Angeles International Airport. Architecture. David Zaitz Photography.